I adore bento boxes! If you don’t know what bento is, it’s a classic Japanese packed meal. 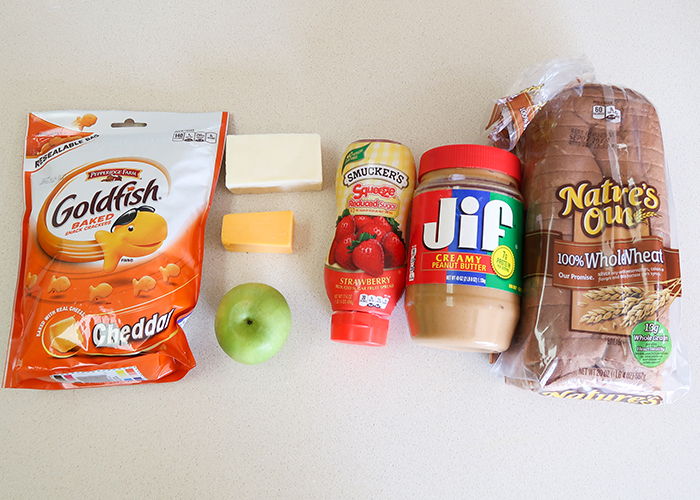 They’re often made as school and work lunches, and you can also buy pre-made bento at various shops and restaurants. The beauty of bento boxes is that everything is packed tightly together so things don’t move around during transport, and they are made to look beautiful as well as taste good. 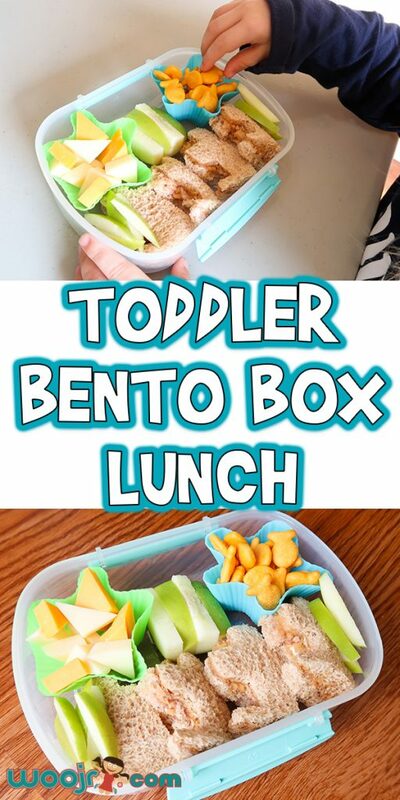 The other great thing about bento is that it’s designed to be made from leftovers! Yep! Those two pieces of cheese, that one slice of ham, or that stray couple grapes left at the bottom of the bag? Bento boxes are the perfect way to incorporate those leftovers into a meal so they don’t get wasted! 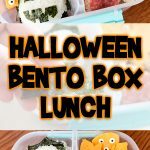 I’m going to be sharing a few different types of bento boxes you can make over the next few months, introducing new techniques and designs. 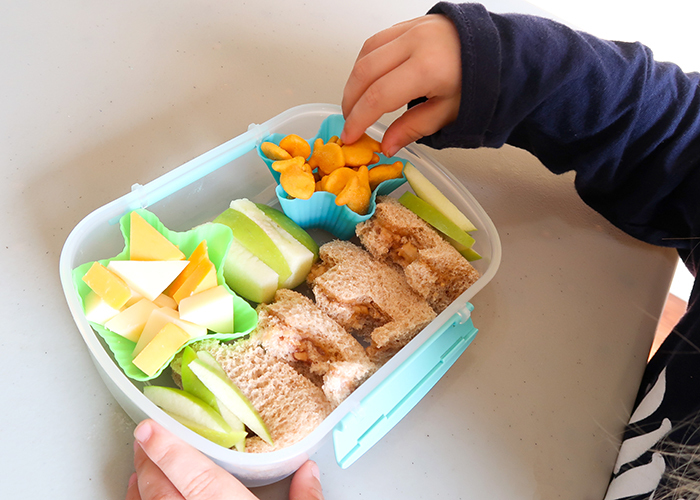 Today I’m going to show you how to make a Toddler Bento Box Lunch, which is perfect for those picky eaters. 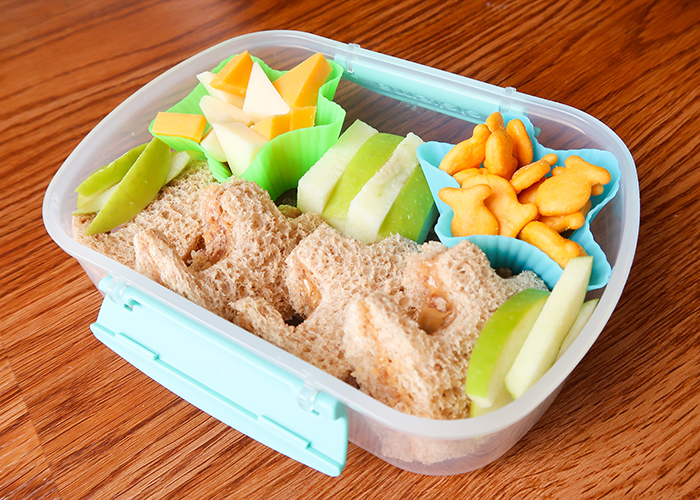 The pretty colors and fun shapes encourage kids to try new foods. I’ll be showing you both the supplies I use and the food I used to create this box. Let’s get started! 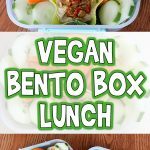 Check out my vegan bento box lunch, too! Small sharp knife. This is the number one thing I can recommend for making good shapes! Bento box. You can also use small containers like I do if you don’t want to purchase a traditional bento box. I really like the Systema containers, and you can find them at Home Goods for just $3-5. Cupcake liners. You can use regular paper ones or fun shaped silicone ones. 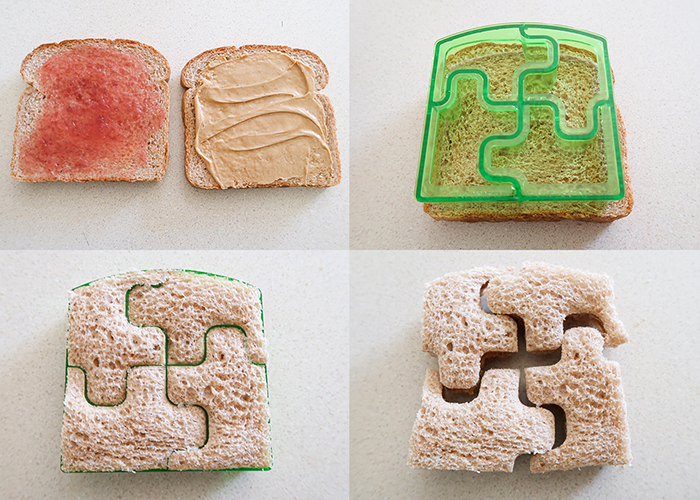 Sandwich cutter. 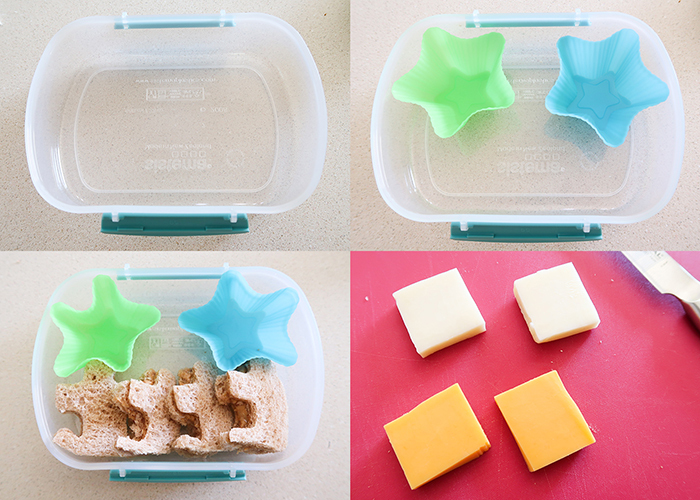 I love sandwich cutters for making toddler bento. Picks. 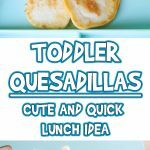 These are totally optional and I ended up leaving these out for my toddler, but I would absolutely use these in older kids or adult bento boxes. You can get bento supplies like mine at Target, on Amazon, or at a variety of websites. Just search for “bento box supplies” and you’ll find a bunch of cute options. There are even mini cutters and molds for eggs and rice. You can put whatever you want in your bento! 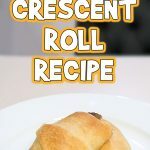 I just wanted to list specific ingredients for ease of planning if you want to make the same one I did! 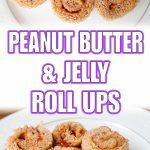 Start by making a peanut butter (or other nut butters!) and jelly sandwich. 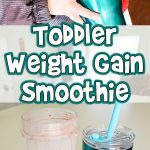 If you have a toddler, you have this one down! 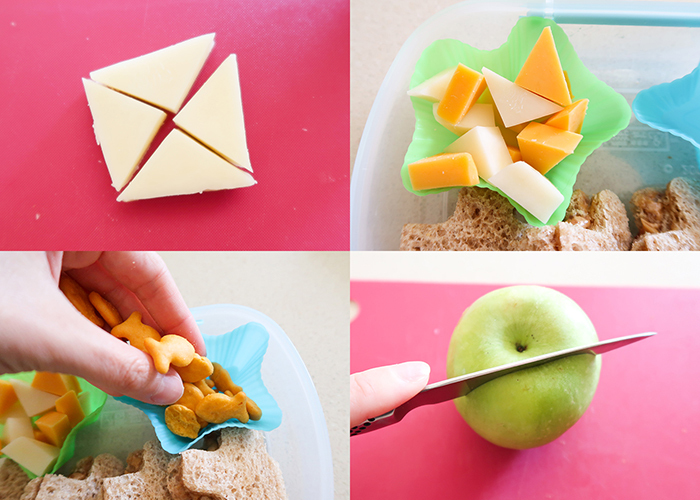 Use your cutter and cut it into cute shapes. 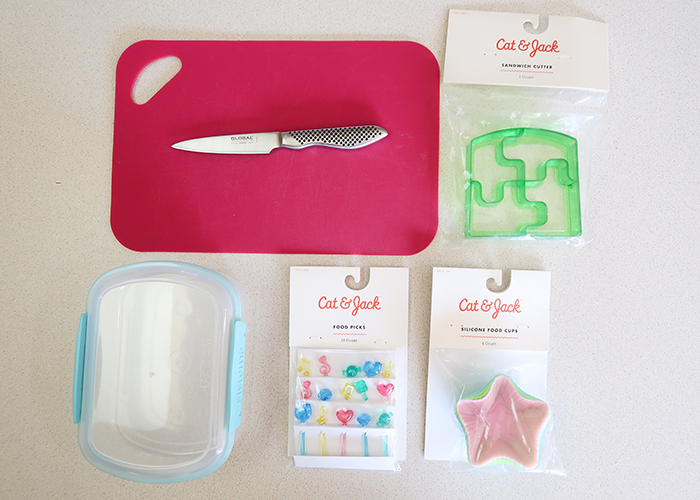 If you don’t have a sandwich cutter, you can also use a cookie cutter or a knife if you’re patient. I like to assemble my bento boxes as I go, so I can make sure everything will fit in the spaces I have. I started by adding in my star cupcake cups, and seeing how they looked best with the sandwich pieces. My container was a bit small to keep the sandwich puzzle together, but I really like how it looked as individual pieces. Now to add some cheese! I cut small squares of mozzarella and cheddar cheese. And then I cut it into triangles, and arranged the triangles into one of the star cups. Into the other one, I added goldfish crackers. Can you tell my son likes cheese flavors? 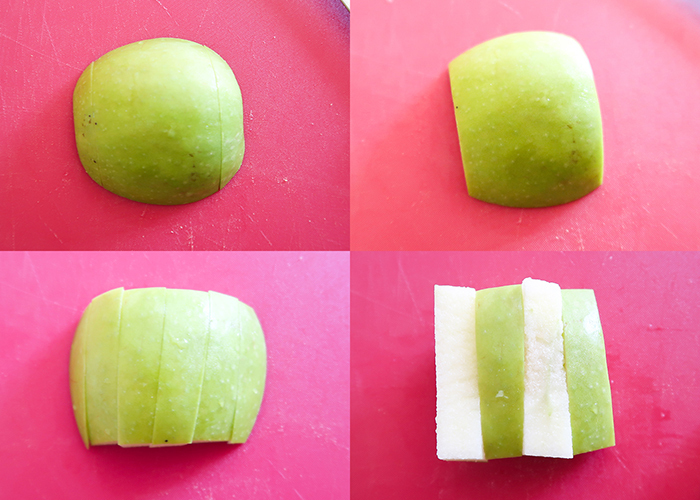 For the apple, I cut off one side of it. Cut the small ends off like this, and then cut it into slices. I then flipped every other slice over to create stripes! I placed those in between the cups, and sliced the bits of apple I had left into thin slices and put them on the ends of the box where the sandwich is. Believe it or not, this only took about 10-15 minutes to make! It’s fun, colorful, and healthy! Plus, a pretty presentation makes even the pickiest eaters more likely to try a new food. My little guy loved it! 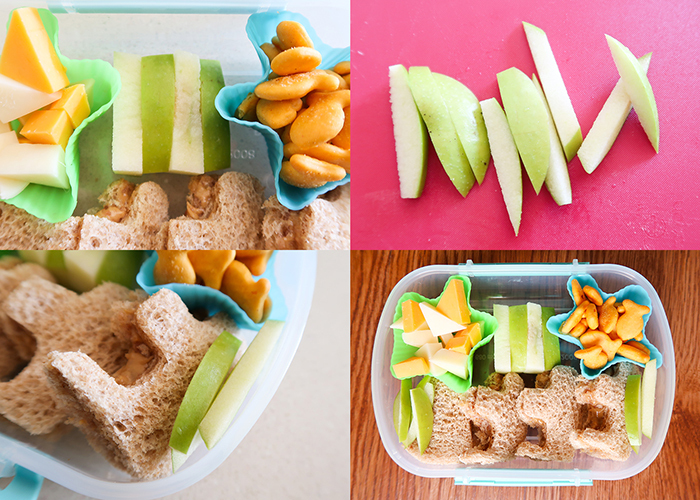 I hope you try making a Toddler Bento Box Lunch for your kids soon!